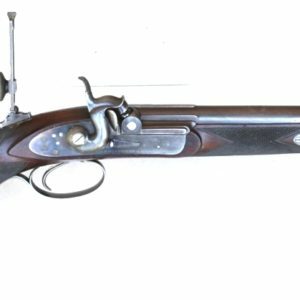 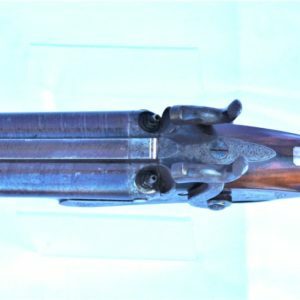 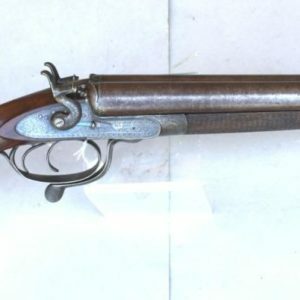 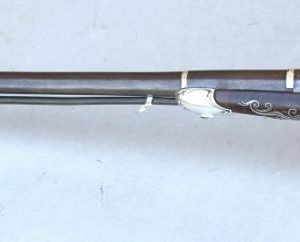 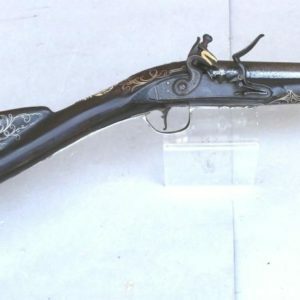 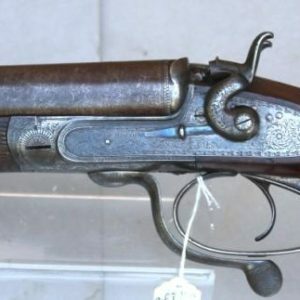 A fine and interesting .451 hexagonal bore Whitworth Match Rifle with a particularly well figured half stock and with 1868 Birmingham Small Arms Company Ltd sidelock. 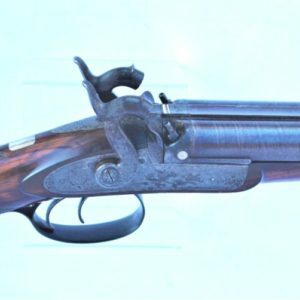 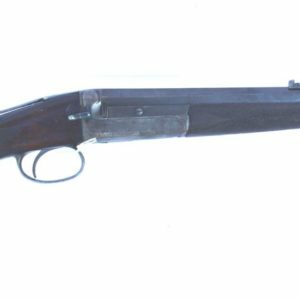 The Whitworth barrel number is F5**, the rifle is proofed 52 bore Birmingham and it is complete with its after market sights. 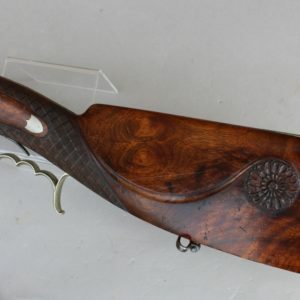 Condition: the stock is very crisp with beautiful close fiddleback walnut pattern to it, the lock plate retains most of its case hardening colour and the other furniture has some finishes albeit faded. 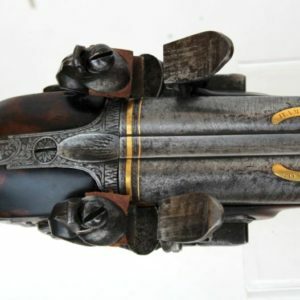 The hammer is darkened black, the barrel retains it faded brown colour. 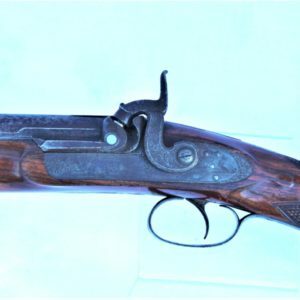 The bore is excellent with no blemishes and little wear. 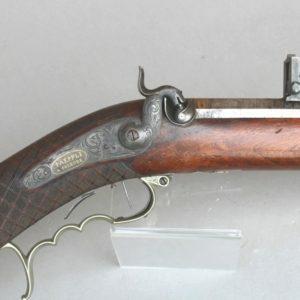 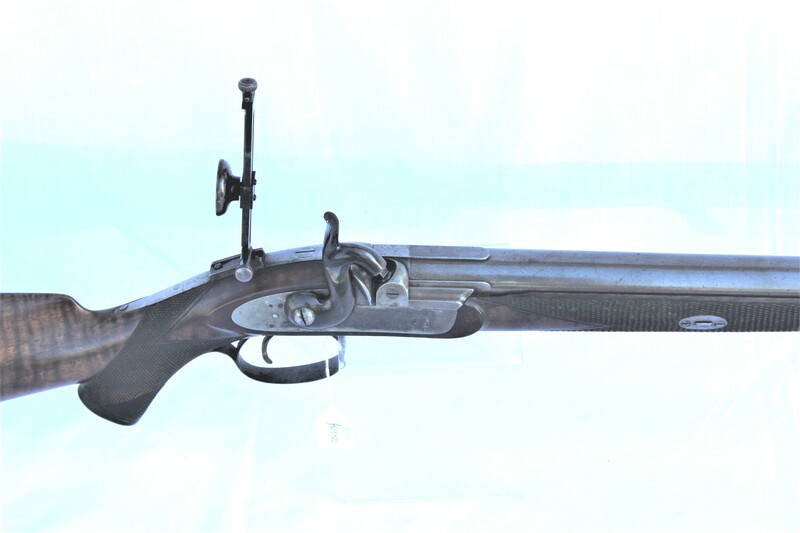 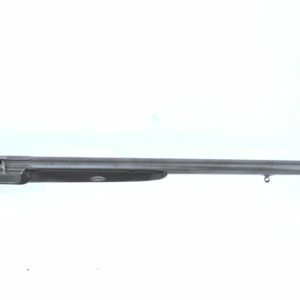 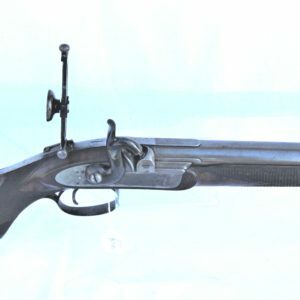 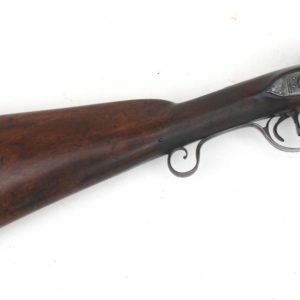 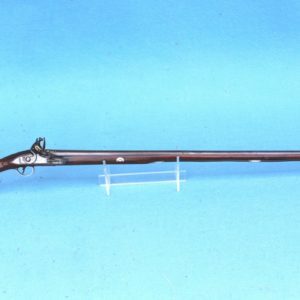 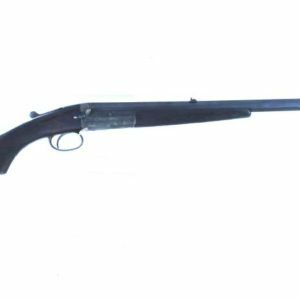 This rifle represents one of a very interesting group which were supplied to the NRA as prize rifles in 1868 after BSA had taken over Whitworth’s interest in the match rifle. 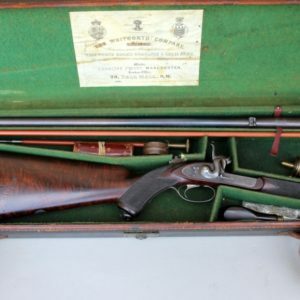 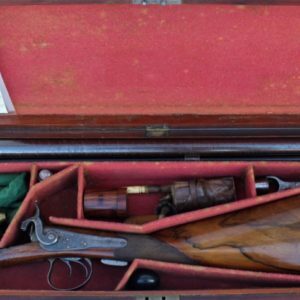 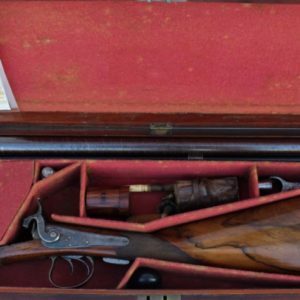 Due to a misunderstanding the NRA, as was its usual practice, wanted to return those unused rifles or those unissued for prize work, at the end of the Imperial Meeting, but BSA were not prepared to accept them. 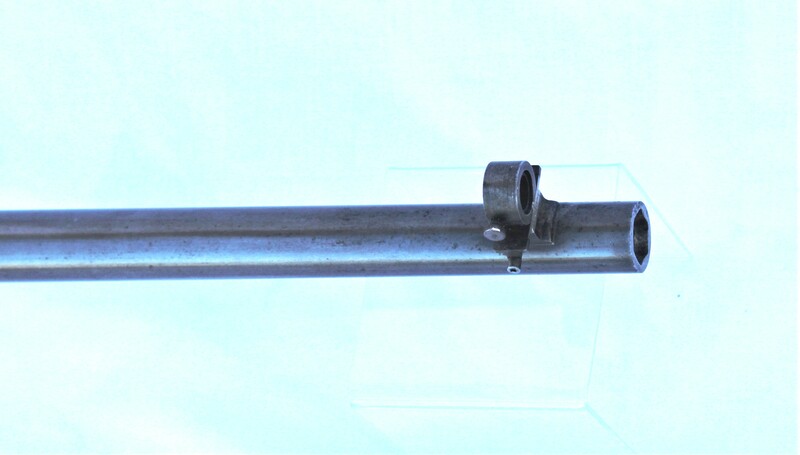 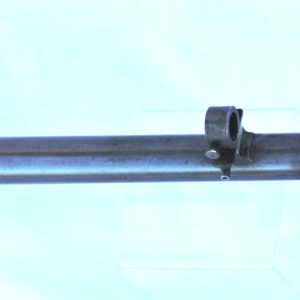 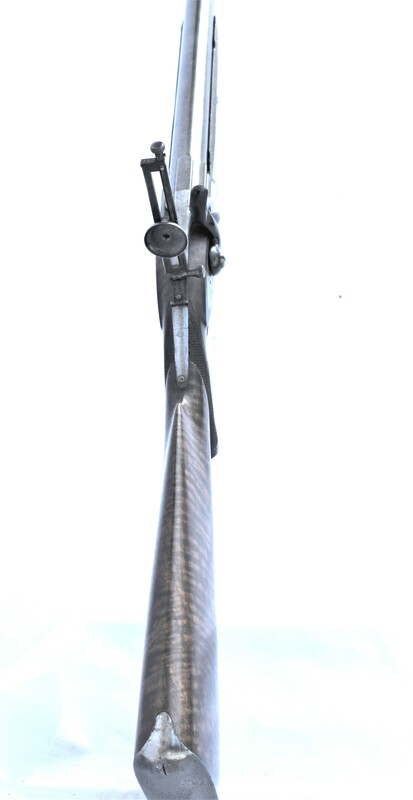 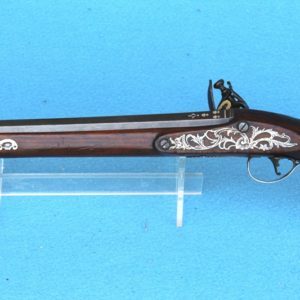 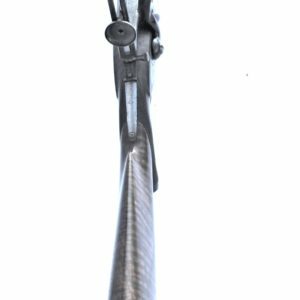 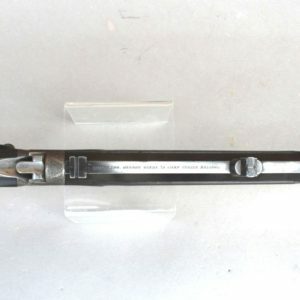 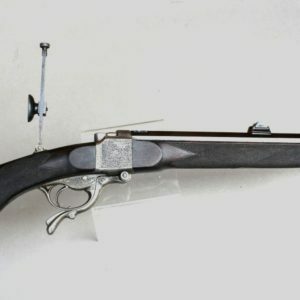 The rifles as originally put up were in match rifle format but with standard military muzzle loading sights on them: on this rifle the two positioning screws for the rear sight which have been stopped can be seen on the barrel. 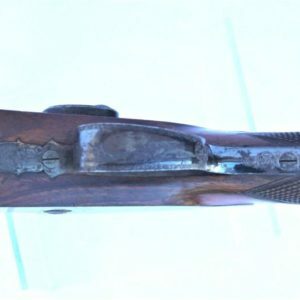 Most of the rifles had match sights fitted when the NRA and BSA disposed of them to private individuals and this rifle is no exception having Whitworth patent signs but made slightly differently to the normal Whitworth manufactured sights.